Ever since I was a little Cubie, I was well aware of the "artist" in the comic books. That is, I was always aware that someone had to draw these things. I know that sounds odd now, but a lot of kids aren't really aware of that when they read these. It's like not being aware that someone had to produce a cartoon, for example. But I had a big brother who was into drawing and so I knew artist's names from the very beginning. My original favorite artist was none other than John Byrne. No matter what I said about his SUPERMAN: MAN OF STEEL, I thought his art was amazing. 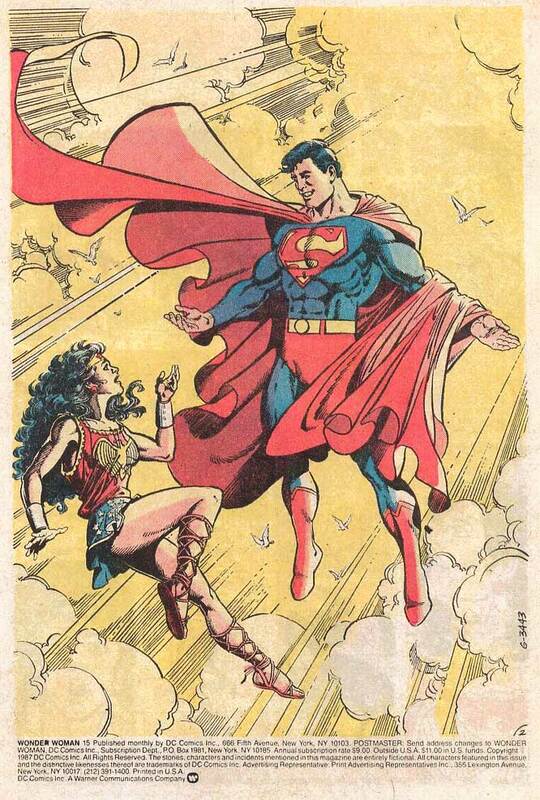 Superman looked like Superman should. 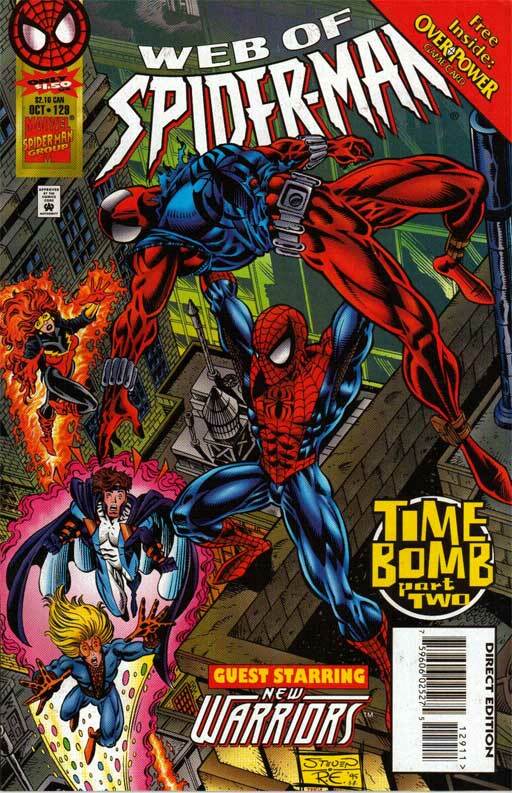 At the time, he was my favorite character, and Byrne was my favorite artist. That didn't last long though, because I soon discovered George Perez. 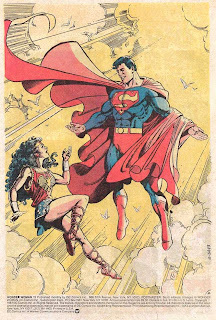 My brother had WONDER WOMAN #15 lying around the house, so I read it and I remember at that very young age just being completely amazed by the opening sequence. 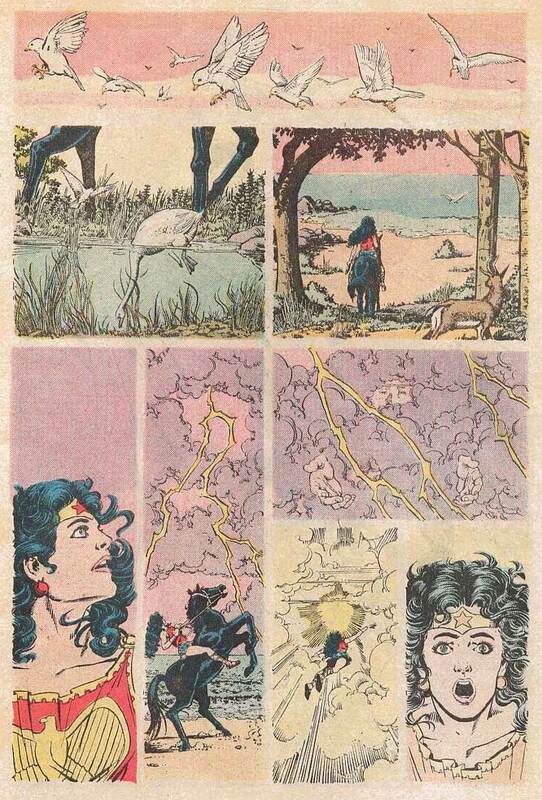 Sure, Wonder Woman's face looks weird in that lower left panel on page 1, but look at the amount of detail there. 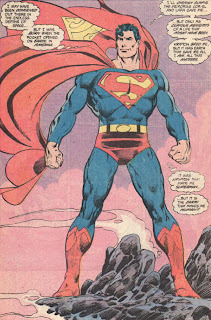 And here's the thing: Perez drew Superman better. 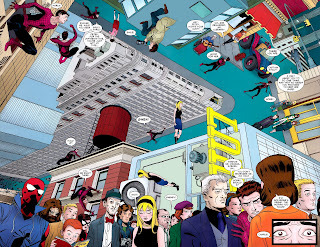 Nothing Byrne did (and we had more of his comics than anyone else's) came close to having that impact. When I first started collecting comics in 1991, Perez was drawing the Infinity Gauntlet, and then he disappeared on art duties, choosing to focus more on writing. 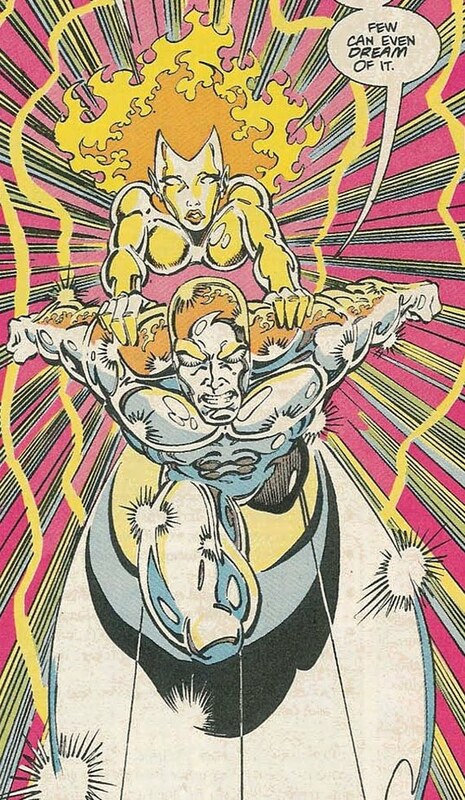 The one comic I started really collecting was SILVER SURFER, and by default, Ron Lim (whose storytelling style Perez says is a close match for his own) was my new favorite artist. Ron is the guy who made me want to start drawing. When I drew back then, I copied Ron Lim's artwork. Because, seriously, look how shiny. 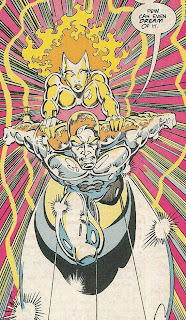 When Lim left the Silver Surfer, I followed not too long after. Unfortunately, nothing Lim has done afterwards has been anything really excellent artwise. It's like he was created for the Silver Surfer specifically. 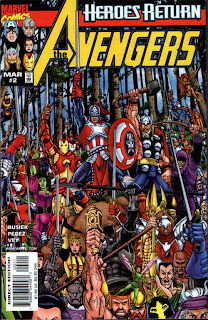 By 1998, Perez was back in the scene, drawing the Heroes Return AVENGERS. He solidified his position as my favorite artist of all time, because well, come on. 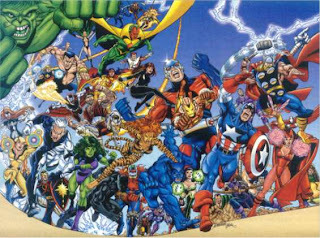 First, he draws every Avenger ever. And this is not just the cover — this is also the story inside. Then in the second issue, he draws them all... in medieval armor. The work ethic of the man could never be denied, and it's one of the reasons he was my favorite artist for such a long time, and almost definitely my favorite artist of all time. Williams' run on PROMETHEA was just so full of invention and innovation. 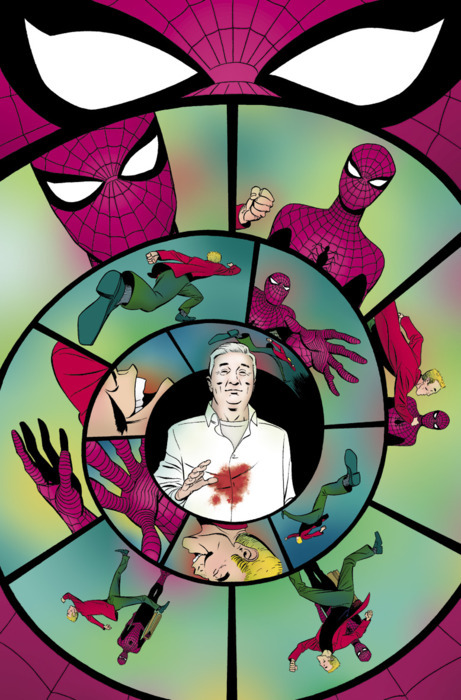 At this point, I had accepted that I would never be able to draw like George, but I felt like I sort of saw things somehow as comics, similarly to how people see things sometimes as movies. I just wanted to learn more about layout and design, and whenever I try to make a comic, I probably do fall into the trap of trying to make every layout nifty. That's Williams' fault. 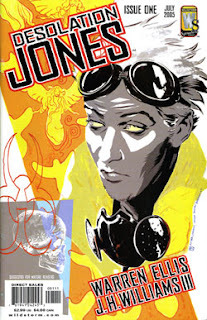 Perez seemed to have semi-retired at this point, doing JLA/AVENGERS, followed by a short monthly stint on BRAVE AND THE BOLD, then FINAL CRISIS: LEGION OF THREE WORLDS. It seemed that he was around to give name power to some projects and he was being saved for big events. These days, he's inking Dan Jurgens on the DCnU GREEN ARROW and also writing and doing the layouts for the new SUPERMAN series. I don't really consider him to be "working" full-time as a penciler/full-time artist these days. But Williams... ah, JH Williams III. I followed that guy everywhere after PROMETHEA. I bought the first (and thus far, only) Warren Ellis series that I ever managed to complete, DESOLATION JONES. 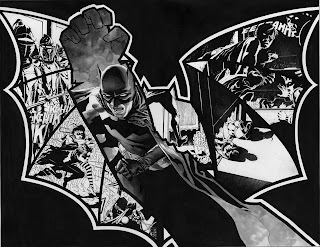 Then he went on to draw three issues for Grant Morrison's BATMAN, which are awesome. I mean, was it just me, or was this guy just getting better? 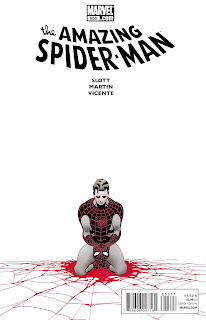 Now bear in mind, at this point, I hadn't read a Marvel title in around eight years. Each time I opened up a Marvel title, it seemed to be filled with gloomy black borders and muted colors, which were just depressing. 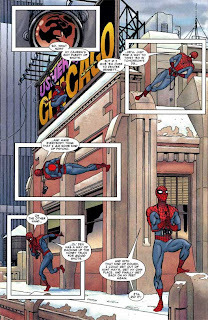 And then fast forward a year later, and I discover SPIDER-MAN: BRAND NEW DAY BOOK 3. More specifically, I discover Marcos Martin. 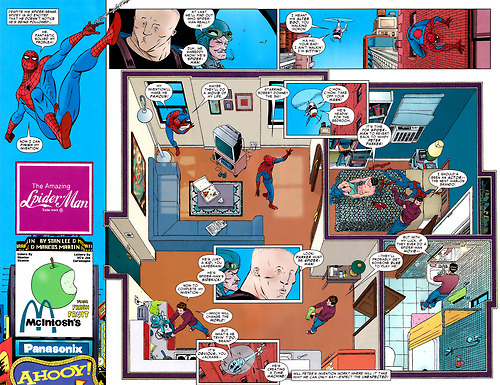 This guy was also doing inventive, wonderful things with the comic book page. For the first time in a very long time, I found a Marvel comic that didn't look like it was being drawn specifically to sell the story to Hollywood. 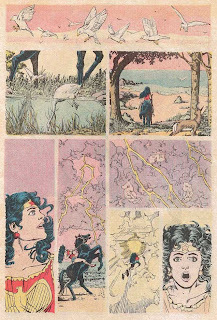 For so long, Marvel had been putting out comics that looked more like printed storyboards, and here was Marcos Martin, completely embracing the comics medium. I loved it. For a while, it seemed that Martin and Williams never worked on anything at the same time. They became my two favorite artists (whoever was putting product out at the time anyway), and they became the two artists whose work I would buy regardless of the writer or the character. 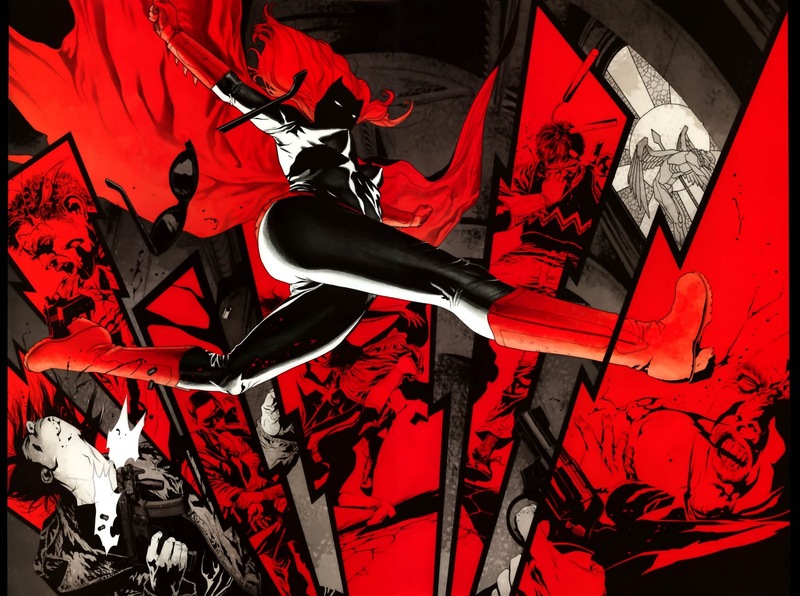 Then Williams went to work on DETECTIVE COMICS with Batwoman, and holy crap. There was no competition here. He was mixing styles, doing double-page spreads, and whatnot. And then... the one-two punch. 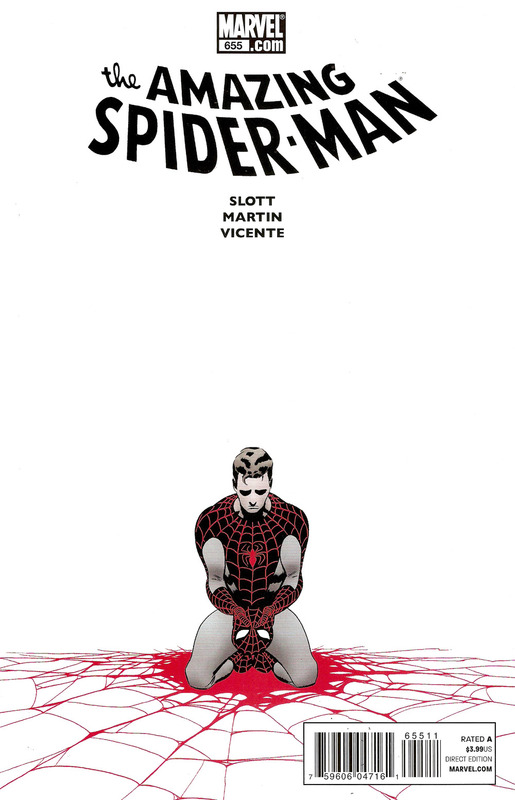 Marcos Martin put out AMAZING SPIDER-MAN #655 with Dan Slott, which is still probably the best single issue out this entire year, for me. It's a comic I was so happy to have read right off the shelves. The first half of the book deals with Marla Jameson's death and funeral. It is all silent. The way Martin tells the story, from the transition to the pacing, is so incredibly masterful, and he draws the living bejeezus out of St. Patrick's Cathedral. But the second half of the book, that's where Martin just shines. It's a dream sequence, and Peter dreams about everyone in his life who has passed away, starting with Uncle Ben. 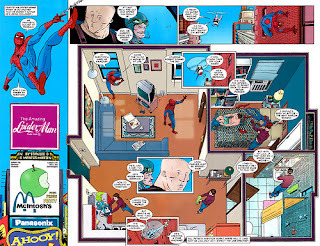 A month or so later, Marvel put out SPIDEY SUNDAYS SPECTACULAR, by Stan Lee and Martin. 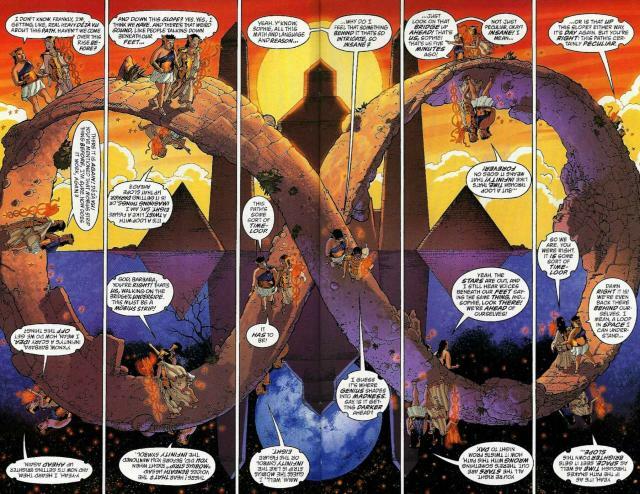 This was a comic full of double-page spreads, each spread done as if it were a weekly installment in a newspaper. This was incredible. It was one masterpiece of design after another. There's one with Dr. Octopus that would classify as my favorite, but I can't seem to scan it well enough to do it justice. I also loved his use of "architexture," which is what it's called when you insert the logos as props in the story. 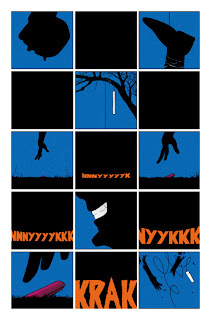 Now this is important, because I was reading reviews and criticisms about JH Williams, and how sometimes his layouts could be confusing, because the reader didn't know which way to go sometimes (Here's one). But not so for Marcos Martin. 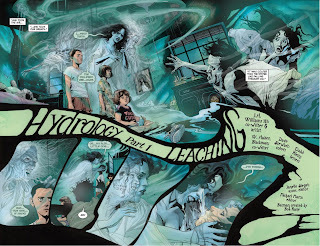 The difference is slight, but as much as Williams may be considered the better artist on a technical level, it's possible that Martin may be the clearer and better storyteller. But the differences in style are so vast and the differences in storytelling so slight in terms of quality and design and innovation, that I would really put both guys on the same level. And now, here we are. September 2011. 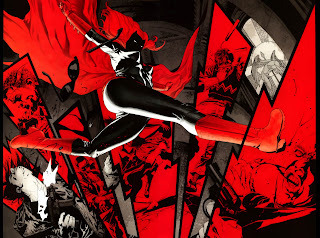 BATWOMAN #1 by JH Williams III just came out. And I loved it. 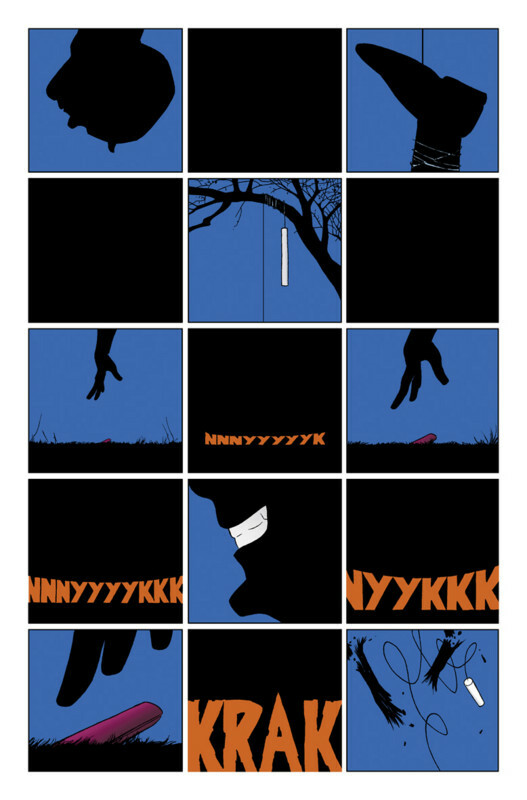 This Wednesday, DAREDEVIL #4 will come out, kicking off an arc by Marcos Martin. And I am so excited in a way that I haven't been in such a long time. For the first time in a really long time, I have two artists I'm looking forward to when it comes to monthly mainstream work. For the first time in a really long time, comics feel like comics again, instead of storyboards printed and bound for mass consumption. And most importantly, for the first time ever, I have no answer to the question, "Who's your favorite artist working in comics today?" And, well... that's kinda cool, guys. Very cool indeed. Duy, you're probably within my age group, based on the sequence of your favorite artists. 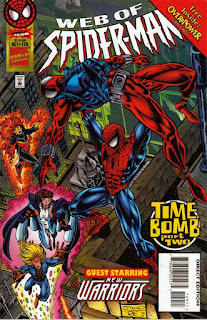 Or, admittedly, a little younger than me because Byrne and Perez were my first two favorite artists. 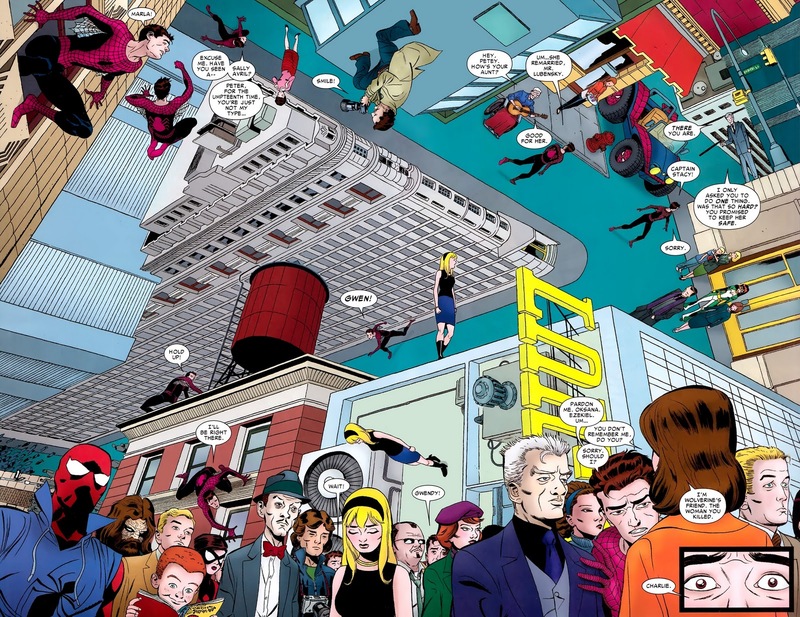 I first noticed Byrne in Uncanny X-men and Fantastic Four, while discovering George Perez in The New Teen Titans. 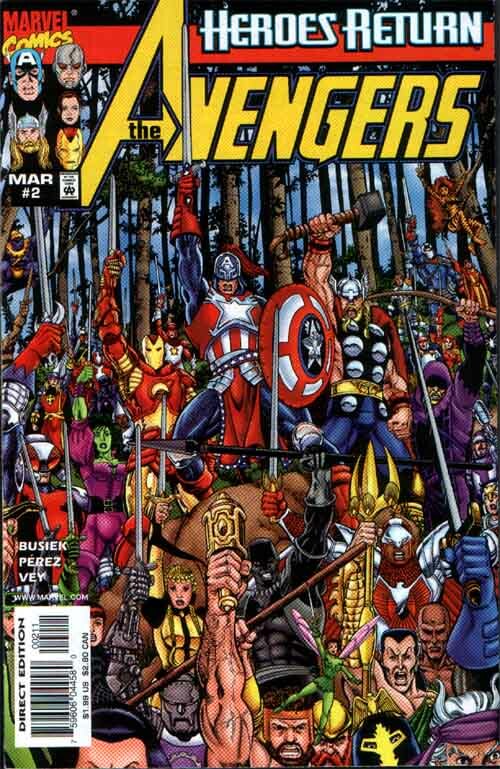 During this era, however, my collection was sporadic and I really only started collecting seriously (and by that I mean monthly and consistently) after the Infinity Gauntlet, which was really amazing. His best work for me though was Crisis on Infinite Earths. No doubt he's also my favorite artist of all time, although recently so many artists are doing great work -- among them Jim Lee, Howard Porter, Steve McNiven and Jerome Opena.